A.L.M. Consulting Engineers has met the needs of physicians, building owners, architects and contractors; designing cost effective mechanical systems that are quiet, easy to install and work well for the medical industry. This Clinic is 15,000 ft2 and consists of several X-ray Rooms, Examination Rooms, Laundry Room, Waiting Rooms/Lounges, Locker Rooms, Treatment Rooms, Offices, Hydro Room, and Physical Therapy Rooms. A.L.M. Consulting Engineers engineered Variable Air Volume Systems to serve this 15,000 ft2 Clinic. The Hydro Room, which exterior walls are all glass, is equipped with a swimming pool and whirlpools. A.L.M. Consulting Engineers engineered a dehumidification system for this room to keep condensation from forming on the glass and maintain comfort. The Examination Rooms are all equipped with stainless sinks. This Clinic’s clients include players and members of the San Diego Chargers. 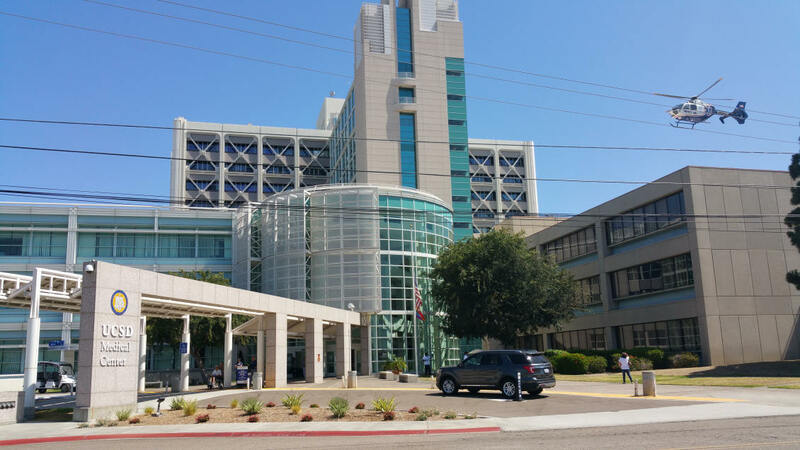 This is a 386 bed hospital with a Comprehensive Organ Transplant Program, Bone Marrow Transplantation, San Diego Regional Burn Center, Infant Special Care Center (NICU), UCSD’s Birth Center, Level One Trauma Center, and the National Institutes of Health-designated Clinical Research Center. Our firm engineered the central compressed medical air system for the hospital. The Surgical Clinic heating and air conditioning system consists of a heating hot water boiler, chiller and hot and chilled water fan coils. Each Examination Room is equipped with Elkay stainless steel sinks. The Clinic also consists of a Laboratory, Waiting Room/Lounge and Public Restrooms. Additional M & P designs for health care projects engineered by A.L.M Employees while employed by A.L.M and/or other firms. Green Hospital Cancer Center T.I. This is a 2,000 ft2 Doctor’s Office served by an air to air split system heat pump. A.L.M. Consulting Engineers, Inc. engineered the mechanical and plumbing systems for this project. This is a 1,000 ft2 Dental Office served by an air to air split system heat pump. The Mechanical Engineering included a compressed air system; vacuum system and piping for stainless steel sinks and dental chairs. This is a 2,500 ft2 Dental Office served by several air to air heat pumps. A.L.M. Consulting Engineers, Inc. engineered the mechanical systems for this project. This Medical Office Facility is 7,400 ft2 and consists of seventeen Examination Rooms (each equipped with stainless steel sinks), five Doctor’s Offices, Restrooms, Waiting Areas, Private Offices, and a Conference Room. The Medical Center is heated and cooled by split system air to air heat pumps. This building is approximately 77,000 ft2. The existing HVAC systems were not adequately cooling the conditioned space, during peak loads. A.L.M. Consulting Engineers calculated the heat gain and heat loss for this building and made recommendations for HVAC upgrades. These offices total approximately 5,400 ft2 and are located in the Village Hillcrest Rehabilitation Hospital. A.L.M. Consulting Engineers engineered the mechanical and plumbing systems for this project. The offices are heated and cooled with water source heat pumps. This 3,800 ft2 Medical Office consists of Examination Rooms, Doctors’ Offices, Waiting Area and a Laboratory. A.L.M. Consulting Engineers engineered the mechanical and plumbing systems for this project. This Medical Office is heated and cooled with water source heat pumps. This is 2,314 ft2 Medical Office project is located in the Green Hospital and is heated and cooled by a variable air volume system. A.L.M. Consulting Engineers engineered the mechanical and plumbing systems for this project. This is a 3,000 ft2 office with a CT Scanner Room. A.L.M. Consulting Engineers engineered a variable air volume system to serve the offices and a Liebert “Stand Alone” system with heating, cooling, dehumidification and humidifying capabilities to serve the CT Scanner Equipment Room. A.L.M. Consulting Engineers engineered a mechanical system with heating, cooling, dehumidification and humidifying capabilities to serve the MRI Room.